Have you noticed your motivation to exercise declining over time? Just can't get excited the way you used to, or maybe you never really got excited about fitness in the first place? Does that trip to the gym just seem too difficult or time consuming? Motivation to exercise isn't something you're born with. It’s something you nurture and cultivate over time. Your motivation, which is really a reflection of your interest level, wanes for a reason. Well, actually two reasons: you either hate what you're doing or you aren't seeing any results. Or maybe both. So how do you rekindle that old flame and fall in love with fitness again? Don't force yourself to do something you hate, because, surprise, surprise, you're going to hate it. Not everyone was meant to be a runner, so if you hate running, don't do it. Some people can’t stand the gym- if that's you, don't go! A burnt calorie is a burnt calorie, and you're likely to burn a whole lot more if you aren't counting down the seconds until your workout's over. It's simple to say "do something you enjoy" but what if you hate everything you've tried? You have to start thinking outside of the box. If you've been going at it solo in the gym, try the group setting of a class. If you're a slave to the treadmill, pound pavement outside. Try a sport: adding competition into the mix will breathe new life into your drive to work out, because you'll want to train to improve your skills. Or try something you wouldn't normally view as exercise: head into the water with kayaking or the sky with trapeze. Who knows? You may be the next best trapeze artist and you never would have known if you hadn't tried. Do Ariel yoga or pole dancing or sign up for a race. That thing you heard about and thought "huh, that'd be fun" but never did? Do that. Need inspiration? 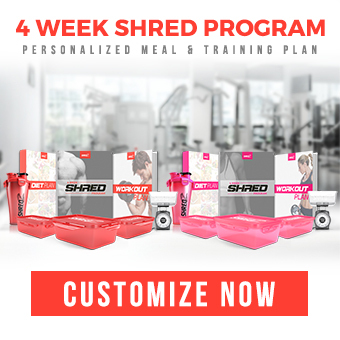 Check out SHREDZ Fit Club for ideas, motivational workouts, and goal-oriented tutorials, all for free! One workout can seem like a drop in the bucket, making them individually seem less important and easier to skip. But, like votes on election day, every workout counts. Long term goals are necessary for progress, but they aren't the most motivating force. Setting short term goals help ensure that every workout is a success and you walk out feeling invincible. That accomplishment will push you to accomplish more next time. Always wanted to do a pullup? Pour your whole heart into it for a few weeks. Or you can get even smaller with it, and pick a goal for each workout: do one more rep, go up to the next weight for your presses, add 5 more minutes to your time, or try a new exercise or machine you've never used before. Of course, Tangible, physical improvements like inches, pounds, and easily buttoned skinny jeans are super powerful motivators. Need help setting goals? 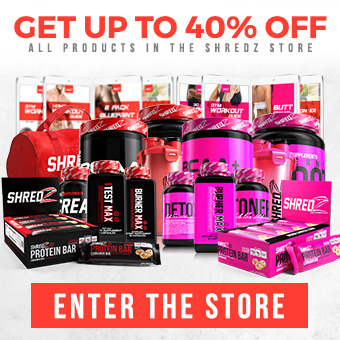 Talk to a pro like the SHREDZ coaches for motivation, ideas, and a solid plan of action. The more the social your workout, the more fun it will feel. Grab some friends next time you head to the gym. Just choose those friends wisely- you're there to work, so save the conversations for later. Even just being in a room full of strangers can be more motivating and fun than going at it solo, so if you're feeling like you can't drag yourself through a workout, rely on the motivating atmosphere of a class to push through. If you usually love the gym but your motivation has been lacking lately, you may just need a break. Your body is pretty smart and will usually tell you what it needs, if you're willing to listen. You may be physically overtraining or mentally burnt out. Either way, take some time off. Does the idea of that scare you? That's another sign you probably need a break. Need to keep moving? Go for a walk or bike ride for a few days. You’ll get back into it. Positive reinforcement is another powerful motivator, so buy yourself something nice as a reward for all your hard work. A good option? New workout gear. It sounds a little superficial, but it works. If you buy new workout gear, you'll be excited to show it off. Just don't reward your exercise commitment with food--that's negative reinforcement and can lead to a dangerous cycle.